NEW Solid Surface Cleaning takes an expert approach to stone restoration and refinishing. In 2018 Randy completed the MB Stone Care’s “Natural Stone Restoration & Re-Finishing” course. Link to Natural Stone Restoration & Refinishing Randy is now certified, after completing the intensive, four-day training session with renowned stone restoration specialist Stu Rosen. NEW Solid Surface Cleaning now has the tools and knowledge to repair and refinish slate, travertine, terrazzo, or marble floors, granite countertops, and natural stone showers. 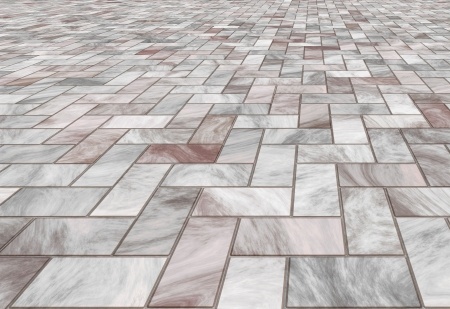 Don’t trust your natural stone to just any floor cleaning company. NEW Solid Surface Cleaning is one of the few floor care specialists in Green Bay and the Fox Cities to be certified in stone restoration and refinishing. Our natural stone maintenance and repair services are available in Green Bay and the surrounding areas including Pulaski, Suamico, Oconto, Shawano, and more. The floor care specialists at NEW Solid Surface Cleaning have been cleaning, sealing and polishing stone floors and stone countertops from Day 1 and now offer a full line of natural stone repair, restoration, and refinishing services.